Of all the toys a billionaire’s money can buy, none is as decadent as a superyacht. Frequently exceeding the length of a football field, the vessels are hugely expensive upfront, can cost tens of millions in annual upkeep, come with a crater-size carbon footprint and almost never go up in value. Yet the ultra-wealthy are sinking more and more into these floating palaces. Taken together the 25 most valuable superyachts are worth more than $7.5 billion, according to the valuation service VesselsValue. Customers bought nearly 300 superyachts so far this year through mid-October, up from a total of 249 vessels for all of 2017. Industry observers have noticed that China’s rising crop of billionaires isn’t prominent among the superyacht-buying ranks. The combined retail value of superyachts sold last year was 2.6 billion euros ($2.9 billion), a 21 per cent increase from 2016, according to the Superyacht Intelligence Agency. That’s a dramatic turnaround for an industry that saw orders plunge as much as 90 per cent and prices cut in half following the 2008 financial crisis. Those were dark days in the superyacht world. Even if would-be buyers had the wherewithal to spend upward of $100 million on a fully staffed boat with a helipad, infinity pool and leather floors, such extravagant displays of wealth were out of step with the uncertain times. 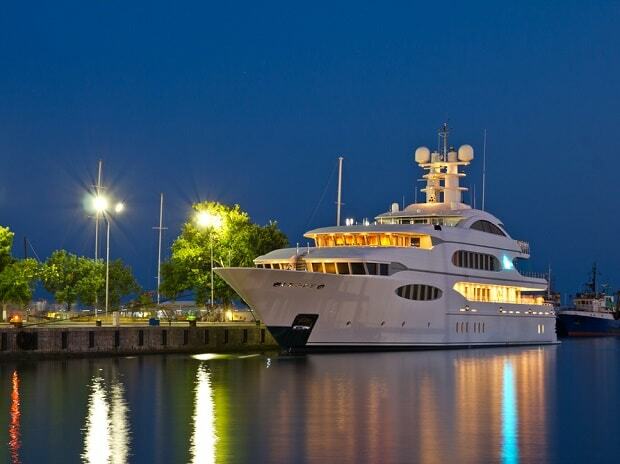 After the crisis, the number of shipyards building superyachts dropped by half as the pool of buyers also shrank. Last year, for the first time, the value of the refit sector—where old yachts are restored—exceeded the new-build market, Mathieson said. Lower prices and faster turnaround times are part of the appeal of buying secondhand. As wealthy buyers skew younger, they’re less willing to put up with the three or four years it typically takes to build a superyacht from scratch. Buyers also have more inventory to choose from. At the end of their life cycles, commercial ships can be sold for scrap and recycled. Superyachts don’t have much steel in their hulls, so the scrap value is negligible. “In the superyacht market, there’s not much precedent of what happens at the end of life,” said Sam Tucker, head of superyachts at VesselsValue. Ships can keep circulating in the secondhand market for years. VesselsValue’s database tracks 6,245 superyachts with a total value of $77.3 billion, the oldest of which dates to 1880. At an advanced age, Tucker said, depreciation curves fail to accurately reflect the market and a yacht may be valued more like a classic car. A boat’s age can exacerbate a superyacht’s already-onerous operating costs. Between crew salaries, fuel, dockage and maintenance fees, shipowners can expect to pay the equivalent of 10 per cent of a superyacht’s value every year in upkeep. And unlike most billionaire trophy assets, superyachts are neither practical (like corporate jets, which outnumber superyachts more than two to one) nor sound investments. In fact, you’re almost guaranteed to lose money on resale. “It is extremely rare to see a vessel appreciate,” Tucker said. The 57-meter yacht Lady Sara had an asking price of $43.9 million when it went up for sale in 2015. It came to market again in September with an asking price of $36 million. For the owners of the world’s 25 most valuable superyachts, resale value is probably beside the point. These wealthy individuals, including Saudi Crown Prince Mohammed bin Salman and Chelsea FC-owner Roman Abramovich, are drawn to the freedom and privacy superyachts provide. Though the dominant market for superyacht owners is the U.S., with its sizable high-net-worth population and love for the high seas, tycoons and potentates from the Middle East and Russia lay claim to many of the most lavish vessels. Finishings and special features on these vessels include personal submarines, bomb-proof windows, seaplanes and concert halls. British finance billionaire Joe Lewis uses his 98-meter yacht, Aviva, as a place to display his $70 million Francis Bacon painting. Vessels Value pegs Aviva’s market value at $257 million, though a spokeswoman for Lewis said it’s worth $400 million. Two other owners asserted that their yachts are worth as much as $150 million more than the valuation company’s estimates. Among the owners of the 25 most valuable yachts are eight individuals currently ranked on the Bloomberg Billionaires Index of the world’s 500 richest people, including the estate of late Microsoft co-founder Paul Allen. This group includes various royal family members from the Gulf countries, who don’t show up on wealth lists because the source of their personal fortunes inscrutably overlaps with state coffers. To keep the ranks of owners growing, brokers and shipyards have targeted the world’s densest pocket of fast-growing wealth: China. It would seem promising that the 38 richest people in China added $177 billion to their fortunes last year, according to the Bloomberg index. But despite the industry’s efforts, yachting has yet to catch on as a passion among the nation’s elite in the same way as winemaking or art collecting. Industry experts blame the slow uptake on history and culture. China largely withdrew from ambitious seafaring around 1500, and China’s navy launched only its second-ever aircraft carrier just last year. Ultimately, the buyers of the biggest and most expensive ships are defined mainly by the size of their bank accounts. “There’s really only a finite number of people who can actually afford them,” said the Superyacht Group’s Mathieson.